Most citizens of Northern Europe would agree that the sun shines too little in this part of the world. But, despite the disproportionate number of rainy days, the implementation of solar power across the northern parts of Europe is on the rise. It is fast becoming an attractive business case for many renewable developers, with the price of solar power reducing by more than 80 percent over the last 6 years. 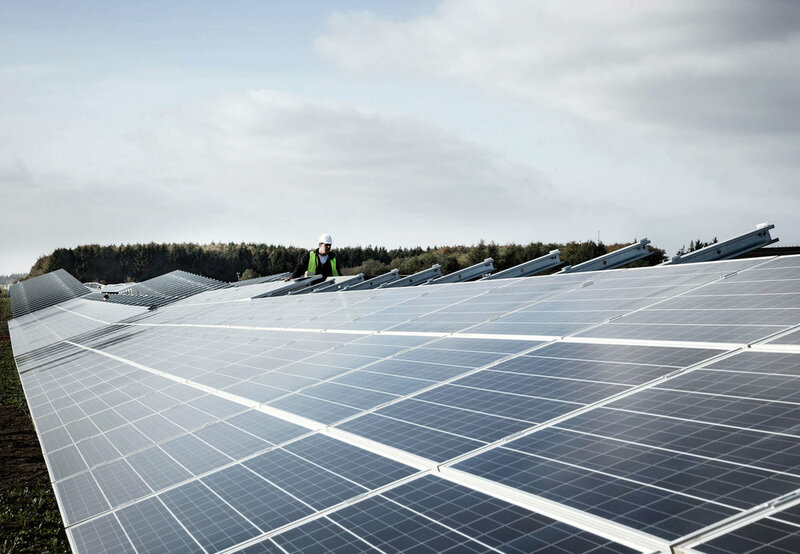 In 2015, European Energy developed and constructed the largest solar park in Scandinavia. European Energy was approached by Bregentved, the largest private landowner in Denmark at that time, to utilize the land from a decommissioned airport in Jutland. Thanks to the efficiency and dedication of European Energy’s projects, engineering, procurement and construction teams, the site was transformed from an abandoned, unutilized block of land into the 75 MWp Vandel Solar Park in just 18 weeks. The short timeframe in which the park was able to commence commercial operations was a remarkable achievement by all involved. As a company, we learned that we were not only capable of managing a project of this size, but we also gained knowledge and experience that enabled us to undertake similar projects in the future. The Vandel Solar Farm remains in operation today and provides sufficient electricity to power more than 20,000 Danish homes per year. We are proud to be able to contribute to Denmark’s efforts in reducing C02 emissions through not only this installation, but all of our green energy parks in Denmark.